I’m baaack!! Well, kind of. Life has once again gifted me with a crazy twist of fate. I’ve been traveling for work; so much so that my only free time is now on the weekends. I’m also relocating. The when, however, is very much up in the air. All of this is completely my doing, kind of. I could have stayed where I am, content, but teetering on “what if”. I’m someone who craves change, like shake-up-your-snow-globe change. If I were not standing on the cusp of a brand new growing season, my bags would be packed and a POD would be in-route. But I blame my gardens and the state of nirvana which they provide. Dirt therapy grounds me and I enjoy my sanity! Bring water to a boil, add couscous and stir; remove from heat, add salted lemons and cover. Heat a small cast-iron pan over medium heat, add nuts and toast until fragrant, about 3 minutes; transfer nuts to a bowl and set aside. Place a touch of oil in a large wok and sauté carrots and onion over medium heat for approximately 3 minutes. Add cabbage petioles and red pepper and cook an additional 3 minutes. Wilt mustard greens and kale over crisp-tender veggies and season with a bit of pepper. 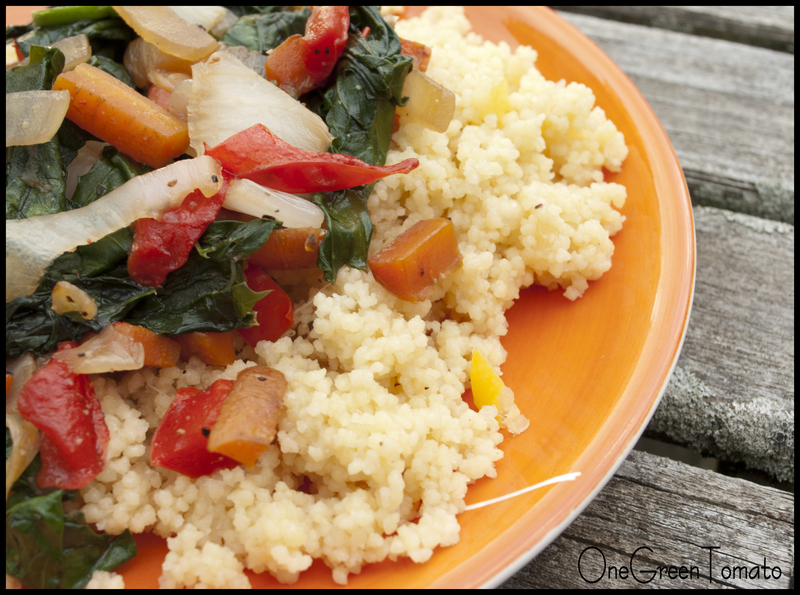 Place a bed of lemon-salted couscous on a plate, add your veggie medley and top with a sprinkling of toasted nuts. Enjoy! Every January the blogosphere is buzzing with citrus inspired recipes and various preservation techniques. Like any good food-enthusiast, I too shared a post, as well as embarked on a few new adventures. I’m no stranger to using salt as a method of preservation for herbs, but fruit is something entirely new for me! When stepping onto new ground I like to explore various recipes; typically, I start off down the plain-Jane path and then detour trying something with a little more zip. This is exactly what happened when I preserved lemons. Feel free to try these recipes with your favorite citrus fruit, I just happened to have a bunch of lemons on hand. Next time I think I’ll give it a go with limes… or maybe a mix! Cover the bottom of your jar with a layer of salt. Cut off each end of the lemon and quarter. I’ve seen a lot of people only cut off the blossom-end and then “almost quarter” the lemon, keeping it whole. Either way will work, I’ve found that wedges pack into a jar better than a whole lemon. With each layer of lemon, add another layer of salt; continue with this pattern until you have filled the jar. Press down on your lemons to extract the juice. Make sure your lemons are completely submerged; you may need to use the juice of an additional lemon or two to accomplish this. Place glass weights on top the fruit to keep it submerged in the juice; wipe the rim and cover with a coffee filter and adjust screw-on band to hold it firmly in place. 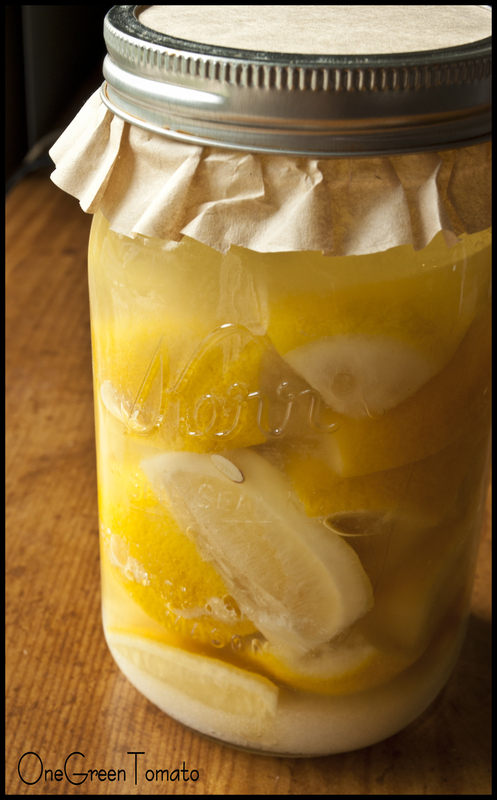 Allow to lemons to cure for 5 weeks, then transfer to the refrigerator. If you do not have glass weights, using clean hands, press down on the lemons each day to keep them submerged in juice. Grind cardamom seeds, peppercorns, and cloves in a mortar and pestle, add to remaining spices; mix well. 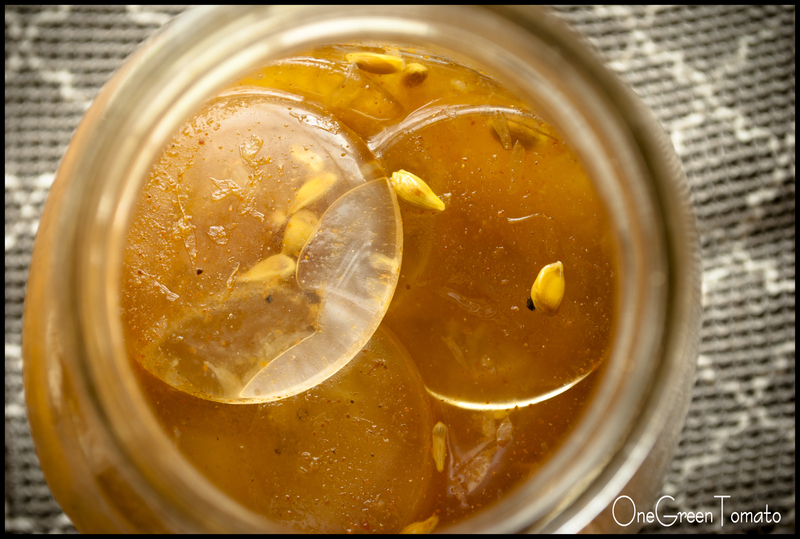 Cover the bottom of your jar with a layer of spiced salt and add a layer of lemons. 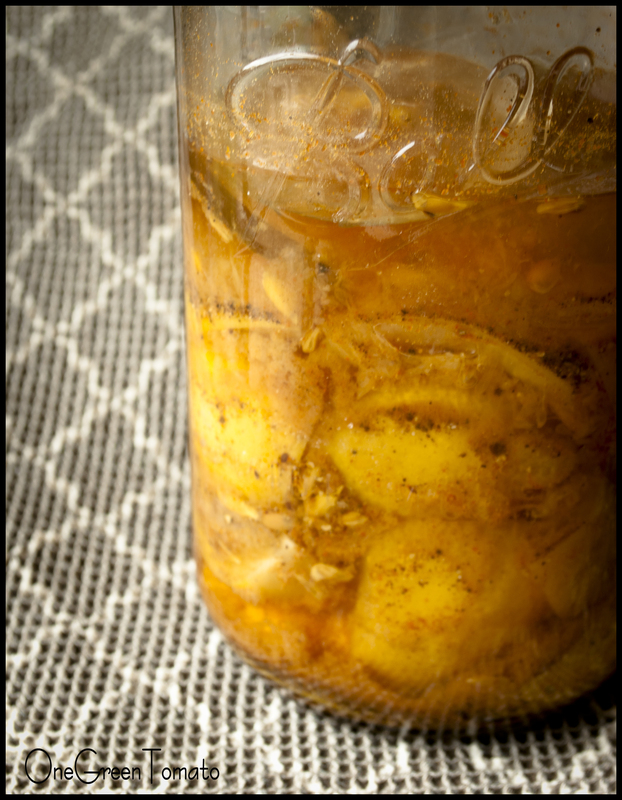 With each layer of lemon, add another layer of spiced salt; continue with this pattern until you have filled the jar. Press down on your lemons to extract the juice. Make sure your lemons are completely submerged; you may need to use the juice of an additional lemon or two to accomplish this. I ended up making a delicious lemon couscous over the weekend, so be sure to check back for that post!! Images and content copyright © 2009-2012 Danielle R Limoge. Spiced Lemon recipe adapted from Hungry Tigress. Had I known the chore of cleaning out the fridge would provide such a delicious meal, I probably would not have put it off all weekend long! Typically, when I have fresh veggies in need of use, my go-to dish is a curry concoction. Since my cabinets were lacking coconut milk, I had to come up with something else. Last winter, while I was canning soups, I had also planned on canning some of my dried beans. Well, I never got around to it but I did end up freezing some after over estimating and cooking up way too many for another recipe. After taking inventory of some use-’em-or-lose-’em fridge items, I began creating what I call a happy accident! Preheat oven to 350°F. 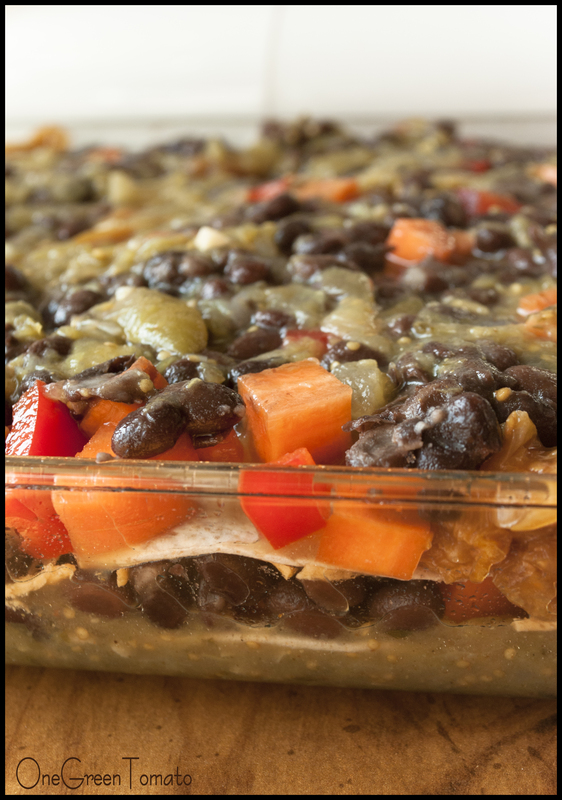 Grease a 9×13″ baking dish with olive oil and place a layer of tomatillo salsa on the bottom. Place two tortillas on top the salsa; add half the carrots, peppers, tomatoes, and beans and season lightly with cumin, salt, and pepper. Sprinkle on a bit of cheese and cover with two more tortillas. Add the remaining carrots, peppers, tomatoes, and beans, season again and add another layer of tomatillo salsa. 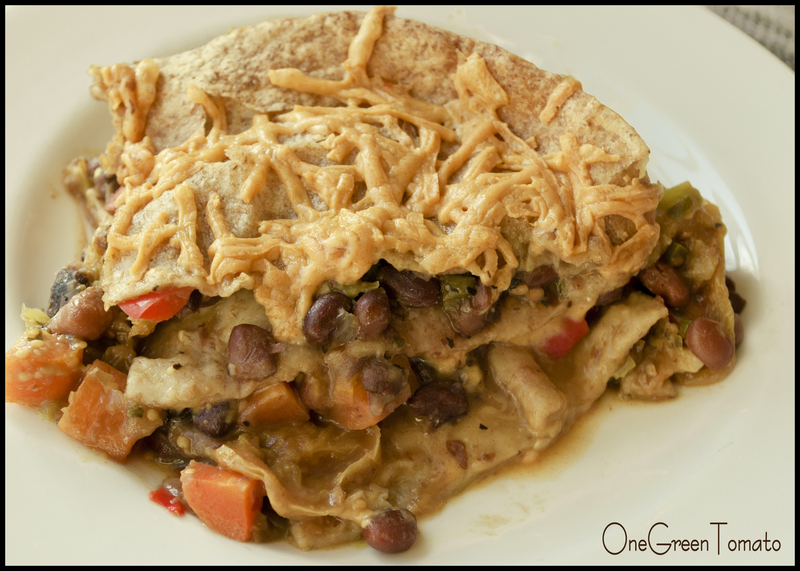 Place the remaining tortillas on the top of the “lasagna” and bake in the oven for 30 minutes. Cover dish with tinfoil and continue baking for an additional 20 minutes. Remove tinfoil, sprinkle on more cheese, and place back in the oven until cheese is melted and begins to brown, approximately 10 minutes. Allow lasagna to rest for 10 minutes, this will help the layers stay together when serving! This recipe yielded me about 10 servings, most of which were placed in the freezer for work-week lunches. I was pleased to find it freezes really well!